I am an X-Men guy. I love all that Marvel and DC have to offer these day in regards to television, but the X-Men were always my team. 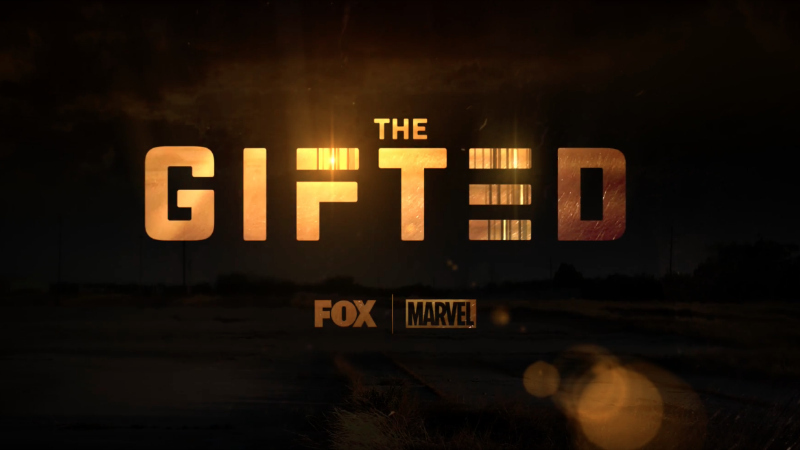 So when I first got wind that The Gifted was going to be a live-action show starring my favorite group of people who possess the X gene, I was excited. However, I feared we’d be graced with another perfunctory attempt at pleasing fans like me. (Does anyone remember a little failed attempt called Weapon X from the ’90s?) Still, I wanted to give the new breed of mutants a chance. The X-Men universe is nothing without its characters, whether it’s the antihero characteristics and grumpiness of Wolverine or the mysterious former thief that is Gambit. Villains are another thing—X-Men would never have achieved as much success as it has without its charismatic “ends justify the means” bad guy, Magneto. Now, it is apparently established that the more A-lister X-Men like Storm, Rogue, and Ice Man are not in this show, but let’s look at what and who we have at our disposal and how they fit in. First, there is Polaris (Emma Dumont), the lady of magnetism. Whether or not the writers choose to go down the road of exploring her origins—and they should—she has proven to be solid character considering she is not someone every fan knows a lot about. She’s got a Wolverine-ish attitude about her in that she takes no crap from anyone and is constantly out to fight for what she believes is just. She’s been my favorite to watch thus far. Then, there is Polaris’s boyfriend, Eclipse (Sean Teal), who has the power to absorb and manipulate photons. I’ll be honest: I was disappointed with this choice. At first glance, I thought the character was actually the sun-absorbing fireball known as Sunspot; whether that would have been a more interesting choice is hard to say, but I find Eclipse to somewhat dull. Everything he does is in the name of his love for Polaris, and he is not really developed further than that. He reminds me of Cyclops in how that character is defined by his love for Jean Grey but is otherwise a bit boring. My advice to whomever is in charge would be to make him darker and more troubled, and then he may bloom. 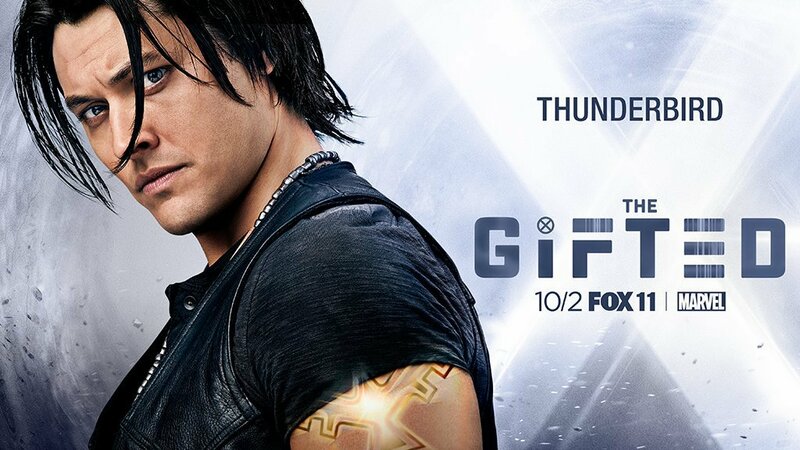 Then there is Thunderbird (Blair Redford), the Native American former soldier with superstrength and tracking abilities. Like Eclipse, he needs some further fleshing out, but his powers alone make him pretty interesting. I particularly like that The Gifted shows how his tracking abilities work, seeing as I never quite picture how such things would. Finally, there is Blink (Jamie Chung), the green-eyed teleporter, who appeared in the film X-Men: Days of Future Past but lacked any lines for the most part. In this version, however, she’s feisty and unruly and has a mysterious past that is just now coming to light. Plus, whatever is happening between her and Thunderbird could prove to be interesting. My opinion on these characters? They are mostly working, and considering it’s the first season, they are doing awfully well. There is some work to be done, but they have massive potential. And what about the plot? My problem isn’t so much with what is wrong, but rather what could go wrong. My point is made with the Strucker family: though I’m a fan of Stephen Moyer and Amy Acker, who portray Reed and Caitlin, the parents of newly mutated children Lauren (Natalie Alyn Lind) and Andy (Percy Hynds White), I feel there story is a tad too familiar. Reed is a mutant prosecutor turned mutant protector after learning that his own children are mutants—does this not sound awfully close to the story of Noah Bennett from Heroes (or even other X-Men stories)? 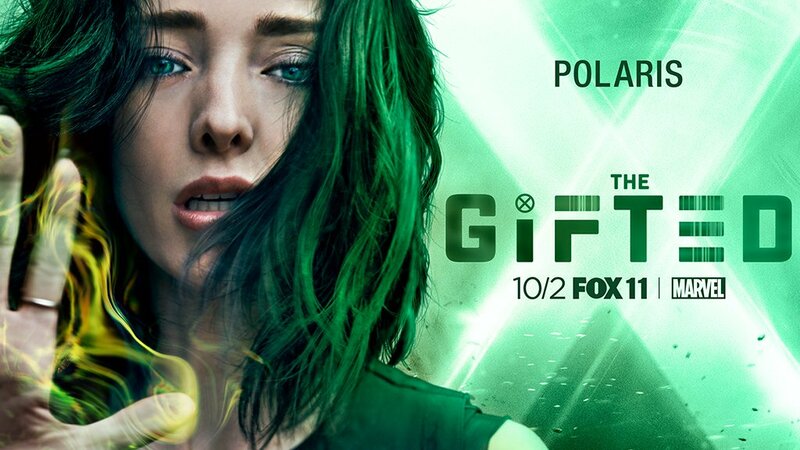 I do not want The Gifted to go the Heroes route, namely, “Let’s take this awesome show and make go downhill more and more as seasons go on so that by the time it ends, it’s more of a mercy killing.” Heroes is defined by one good season—the first one. The Gifted has potential to be great, so let’s hope it doesn’t follow in Heroes’ steps.